Paw Print Genetics - You offer 12 genetic tests for the Labrador retriever. Why does this breed have so many tests? Interactions with our clients are valuable to Paw Print Genetics. It helps us understand their concerns when it comes to genetic testing. One question that we have been asked on occasion is about the number of genetic tests we have available for a particular breed as compared to a different breed and what that number means for the health of that breed as a whole. For example, Paw Print Genetics currently offers 12 genetic tests for the Labrador retriever, which is more than any other breed. For some of our clients, the natural follow-up question after this discovery has been, “Are Labradors more unhealthy than other breeds?” Though there are many diseases that have been identified in the Labrador retriever, we cannot make the assumption that they are more unhealthy or carry more genetic problems as a whole than other breeds without doing some statistical evaluation of the entire dog population. However, to my knowledge, this potentially expensive and time-intensive evaluation has not been performed. Despite the fact that veterinarians may sometimes get the impression that certain breeds are overrepresented in regards to disease, there are many factors that must be considered when objectively evaluating the number of genetic diseases in a particular breed. Arguably the most important consideration when examining the question of genetic Labrador health (or other popular dog breeds) is that Labradors are the most popular breed in the world and have topped the AKC breed registration statistics for more than a decade. 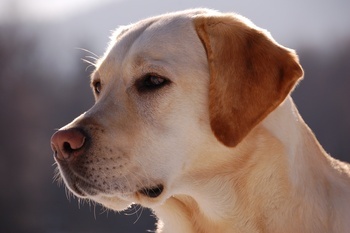 In fact, the three breeds that Paw Print Genetics currently offers the most tests for, Labradors (12), German shepherd dogs (9), and beagles (10), are ranked first, second, and fourth respectively on the 2012 AKC registration statistics (we have six tests available for the third most registered breed, the golden retriever). This fact alone raises doubt about whether these breeds are really unhealthier than others. The large number of dogs from these particular breeds means that many concerned owners and breeders in breed clubs are looking for answers to disease woes. Large breed clubs often fund scientific research for particular conditions concerning their breed, thus leading to discoveries that diagnostic laboratories can use to develop tests for the conditions. Chances are, there aren’t going to be many scientists doing research on the Turkish pointer or the azawakh, simply because there aren’t many of them (or their owners) worldwide and money for research in rare breeds is more difficult to come by. In addition, it is very possible that many diseases attributed to a single breed would actually be identified in other breeds if more population-based research was conducted. This would potentially decrease the discrepancy between the number of tests offered for the most popular versus least popular breeds. Even though we have not yet conducted formal research at Paw Print Genetics, we have identified several disease mutations in breeds not previously reported to carry them. These mutations include Von Willebrand disease II (VWF gene) in a Labradoodle (neither Labs or poodles have previously been identified to carry this mutation), multifocal retinopathy 1 (BEST1 gene) in a French bulldog, and degenerative myelopathy (SOD1 gene) in a Belgian malinois. I am confident we will find many more examples of breeds with previously unreported mutations as our database grows. On the other hand, it could be argued that breed popularity contributes to an increase in genetic disease for the breed. As learned in the study of basic supply and demand economics, an increased demand for a particular breed will lead to an increase in people attempting to make money from selling that breed. Unfortunately, this also means that some people are more likely to jump into the dog breeding arena with little or no knowledge about how to breed genetically healthy dogs. It is known that line breeding combined with a lack of genetic testing of breeding dogs leads to an increase in recessive genetic disease occurrence. This is simply due to the increased chance of offspring obtaining a copy of the same mutant gene from each parent when those parents are closely related. That mutation may have arose new in a common grandparent. People uninformed about genetics can end up unintentionally increasing the frequency of certain diseases in a breed by breeding closely related dogs without knowledge of their genetic background. This is particularly true of late-onset genetic diseases that may not begin to show up in affected dogs until after breeding has been performed. So, to answer the question about popular breed health and a correlation to the number of genetic tests that Paw Print Genetics offers, (as much as veterinarians detest ambiguity) I must say that there are likely many reasons that contribute to this phenomena. It is likely that most popular breeds are not overly represented with disease, it is just that the rarer breeds have not been studied for new mutations or screened for known mutations. Either way, the breed statistics won’t matter much to you personally if you know what is going on genetically in your own breeding program. Testing your breeding animals for genetic disease, preventing disease carriers from breeding with each other, and eliminating dogs affected with disease from your breeding pool, will allow you to produce healthier, more valuable dogs and will improve your breed and the value of your breeding program. As the causes of more genetic diseases are discovered and more tests are developed to screen for these diseases, we will be able to greatly reduce or eliminate many conditions that have historically plagued our canine friends. From the perspective of canine health, there has never been a better time to be a dog!